Follow Adelantado on his overseas quest to find a lost expedition. "I love Adelantado Trilogy: Book One so very much. It's the first time I've played this type of game. And I'm loving it." Our story begins in Spain during the Age of Discovery. The Queen has summoned a noble officer named Don Diego De Leon about a lost expedition that was sent overseas in search of gold. There has been no word from the expedition in quite some time, so the Queen grants Diego the title of Adelantado, governor and caretaker of new lands. 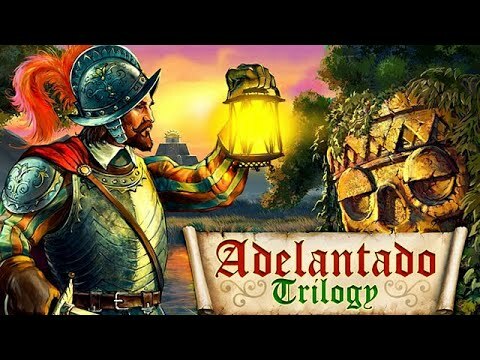 Follow Adelantado on his quest to find the lost expedition and much needed gold before it's too late.